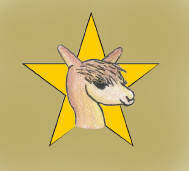 STARanch Alpacas is the first Alpaca ranch in Alva, Fl. This is a ranch built by the Smith and Tuscan families in order to bring the alpaca lifestyle to this quaint rural location near Ft Myers, Florida. We are growing closer together as a ranching family and are working to produce the finest herd of alpacas genes will allow. Please check out our site and our herd now, and as we grow. The website is growing just as our herd is; so check back occasionally and find the fun and the deals as we bring them to you. ©2007 - STARanch, Inc. All rights reserved. Featuring the Finest Huacayas Genes Allow!! The Ranch is CLOSED !!!! !